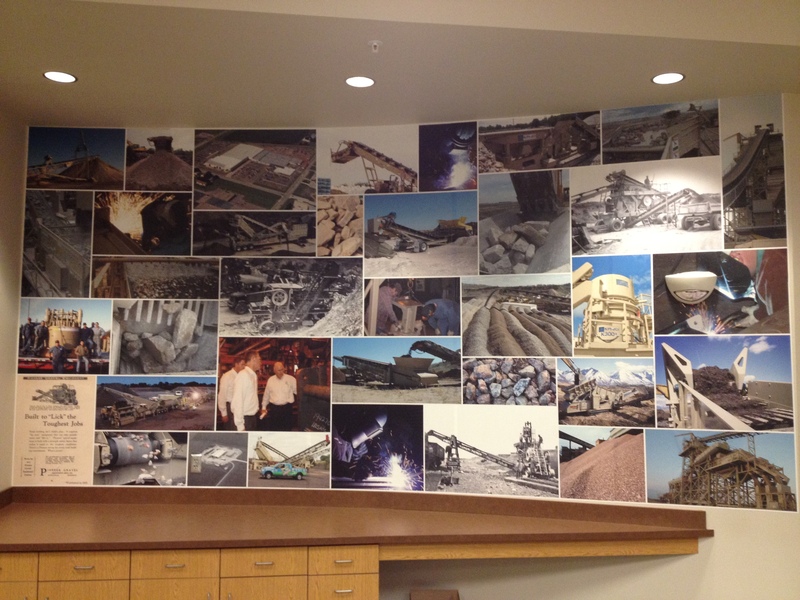 Here’s a recent installation of our repositionable fabric wallpaper. Our customer, KPI-JCI, wanted to have a collage of their products being used, and they wanted to be able to install it themselves. Our repositionable fabric wallpaper fit the bill. The great thing about repostionable fabric wallpaper is that when the time comes to take it down, it comes off the wall leaving no residue. The adhesive is a lot like that used on sticky notes, it holds it fine but is not really permanent. This entry was posted in Custom Printed Wallpaper and tagged custom wallpaper, custom wallpaper murals, fabric wallpaper. Bookmark the permalink.